Steve and I both thought that water sealing my mom’s fence would be fast. She has a small yard. How long could it take!? Well, there’s a mile of fence around my mom’s small yard. Not really, but it seemed that way. We started at 8:30 AM, and finished at 2:45, with a tiny break for lunch. You can see that it really needed this and it does look much better now. And the fence will last longer, too. On the up-side: it didn’t rain. On the down-side: it was clear and sunny and hot. We are both beat, but happy to mark this chore off the list. Yay! 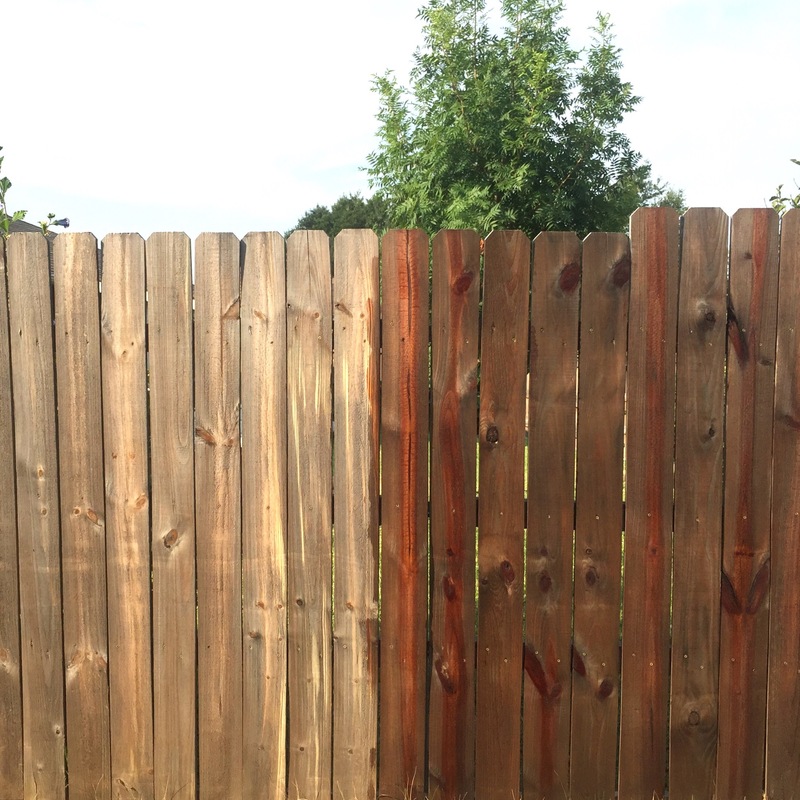 This entry was posted in Garden, Home Improvement, This and That and tagged fence, home improvement, water seal by Becky Goldsmith. Bookmark the permalink. Congrats! The fence looks terrific. You’re getting me motivated to do some of the things around my house I’ve been putting off. There’s something about home improvement projects and you guys. I think it’s built-in to your internal rhythms or something. Got some time off? Sit by the pool? Nah, let’s work in the boiling sun! 🙂 Nice work… and I do mean WORK!